Would you look at that? 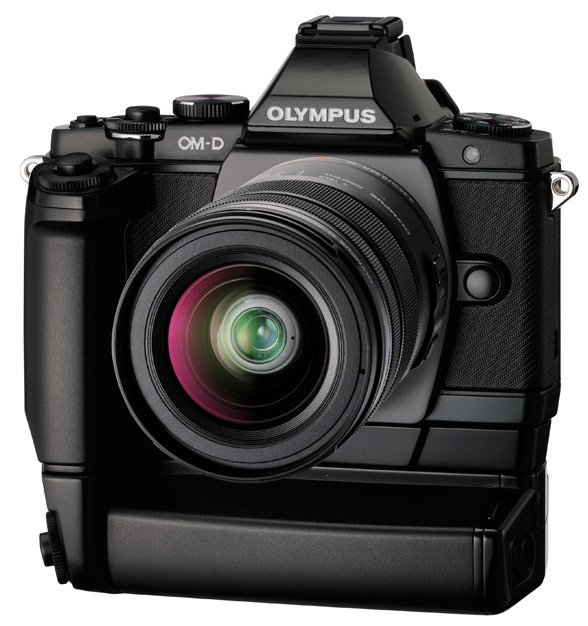 According to PhotoRumors, that chunk of retro beauty is purportedly a full-on snap of Olympus’ new OM-D Micro Four Thirds shooter (from an Amazon Japan listing that’s since been pulled) affixed with its optional battery grip (adding what appears to be a secondary shutter button). That, or someone knows exactly what makes us go “Oooh.” The chunky ’70s stylings make us fear we’d abandon our career to go become a war photographer if one of those was placed in our hands. 43Rumors believes the unit will hold a 16.1 megapixel EDR CMOS, beefier than the 12.3 sensor inside the PEN E-PL3, but we hope this new body (however beautiful it is) doesn’t spell the end for the dinky PEN series. If that wasn’t enough, a that Amazon listing we mentioned also pointed out a 1.44-megapixel electronic viewfinder, a tiltable OLED display on back and a total weight of 454 grams with its kit lens attached. We’ve got a few more shots in the gallery below, with others rocking some serious cropping, but each is more deliciously teasing than the last. Olympus OM-D E-M5 shots orchestrally maneuvers out of the darkness originally appeared on Engadget on Sun, 05 Feb 2012 15:41:00 EDT. Please see our terms for use of feeds. 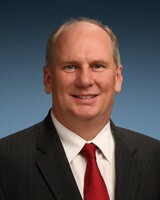 Micron appoints Mark Durcan as new CEO originally appeared on Engadget on Sun, 05 Feb 2012 14:17:00 EDT. Please see our terms for use of feeds. Need to take the edge off those winter blues? Perhaps Corning’s, somewhat saccharine, vision of our technological future will be just the soporific tonic. 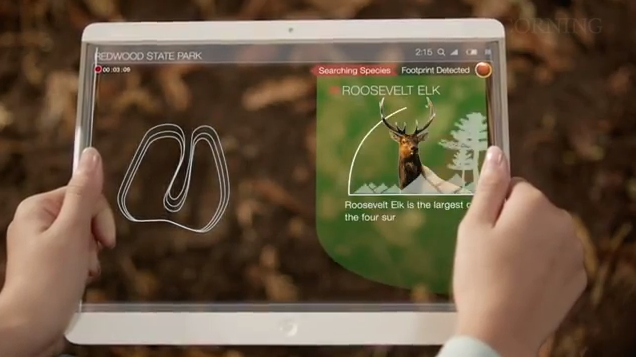 Unsurprisingly, the Gorilla Glass maker sees a future where pretty much everything is a transparent touchscreen. While many of these ideas clearly appeal to our tech sensibilities, others are still very much high, high, up in the cloudy mists of concept land. Sure, a few of these ideas are starting to materialize back here in the present day, like large multi-touch panels, smart windows and of course communication displays, but for much of the rest, we’ll just have to sit and wait. Or not. Corning looks to the future, mainly right through it (video) originally appeared on Engadget on Sun, 05 Feb 2012 13:22:00 EDT. Please see our terms for use of feeds. This entry was posted on February 5, 2012, 5:37 pm and is filed under Mobility. You can follow any responses to this entry through RSS 2.0. Both comments and pings are currently closed.